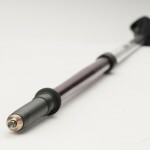 Recommended by leading surgeons, physicians and therapists, our ACTIVATOR™ Poles were designed by an occupational therapist specifically for rehab and long-term conditions. 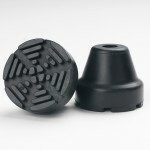 This unique patented design offers strengthening, stability and off-loading with your safety in mind. 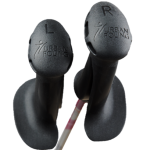 Button locking system for greater weight-bearing capacity - 200 lbs per pole. 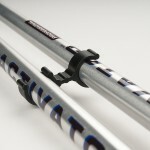 The cost of ACTIVATOR™ Poles may be covered by your insurance company. Learn more about Third Party Funding. Request an estimate for your insurance provider. this is truly a great fitness product! Great product…easy to use and helped me walk further/exercise more despite my leg difficulties. I’ve used the Activators as an instructor to help those with mobility difficulties get poling! They are great for beginners to gradually build from the Activator technique to the fitness technique as they grow stronger and their posture improves – all you have to do is change the booties! I have some mobility and balance issues so walking was a chore, even though I love to walk. I discovered Urban poles and over 1.5 years ago I bought a set of activator poles. I have never looked back. I walk every day! I am able to walk faster and with more confidence. I was on a weight loss journey and thanks to my poles giving me the confidence to walk, I lost 70 lbs. I bought the poles for my Husband, who has knee problems and he is enjoying the stability he feels while walking. Hopefully, in time he will enjoy walking more. I have had mine for years, love them, and definitely it has strengthened my core. The Activator poles are wonderful! One of my favourite things about the poles is the pin locking system. I work with a variety of participants who have chronic conditions, often the act of tightening something is difficult and requires assistance. The Activator poles allow participants to be self sufficient and set themselves up and just get moving. 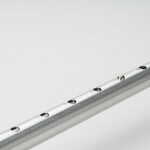 The Activator poles are sturdy and offer a great way to assist people to get up and get moving! I bought your poles for my wife and she gives them an A+. She is active, so the improvement was in her balance and peace of mind-safety while hiking with an arthritic knee. I love them and use them every day either for going for a walk with my partner or when I go shopping. They are great, better than my cane. They give me so much support in my back, arms and posture, I could not do without them. I recommend them to everyone. The poles were for my wife who is recovering from hip replacement surgery. She uses them for a daily walk and finds them helpful. She also used them in September in Budapest, Vienna and Prague as we were travelling in Europe. Again very helpful. I suspect that they will become a permanent part of her walking routine. I was steered in your direction by my Parkinson’s Disease physiotherapist and I am very pleased that she did. My gait has improved and I have reduce my time to complete my walks by some 30-50%, so now I am focusing on going greater distances. My therapist recently remarked that I am not shuffling in the normal way I have. I am pleased that I am getting this result after actively using the poles for about 30 days. Again thanks for such a great product. ACTIVATOR™ Poles promote active living and are the focus of 8 current/recent studies in Canada and the UK. Benefits may include: improve strength, balance, posture, walking tolerance & speed and reduce impact off knee joints. Address factors related to preventing falls. Urban Poling Inc. (“us”, “we”, or “our”) warrant that if our outdoor fitness equipment including; ACTIVATOR, Series 300 and 4Life Poles (the “Goods”) fail due to defects in workmanship or materials, within two years from the date of purchase (the “Warranty Period”), we will, in our sole discretion, either: (i) repair or replace such Goods (or the defective part), or (ii) credit or refund the price of such Goods. THE FOREGOING IS YOUR SOLE AND EXCLUSIVE REMEDY AND OUR ENTIRE LIABILITY FOR ANY BREACH OF THIS LIMITED WARRANTY.